"Extremely versatile, easy to us product with excellent customer service and support." "Claritysoft is Great for Account Organization "
Claritysoft has become an indispensable tool for my company to track both sales and business development projects. It's great having the ability to customize the modules, rename and create headers, and to cross-reference and filter by any category. The program is user friendly, allowing one to move seamlessly through the modules and have the confidence of not missing any details of a particular account. It keeps accounts organized and helps the user efficiently find and track any information needed. Plus, in the six months we've been using the program, Claritysoft has continued to make improvements and add features. The Leads module has been a great tool after tradeshows: no more thumbing through a stack of business cards to find a lead. Most importantly, though, is the exceptional customer service. Emails are answered right away, webinars are always available and one on one meetings with a Claritysoft expert keep us up-to-date on all the tools available. No strong dislikes, but we have yet to take advantage of all of the offerings in the program. As stated above. Our accounts and leads are organized and accessible. "Excellent from the very first demo and still delivering strong! " Customer support! You can have the best product in the world but if customer support is poor, then you might as well throw your money away. They consistently performed strongly during the demo and sales stage and have continued to do so post sale. I had one very small issue, fixed over night. The next morning, an email and a phone call to let me know it was rectified and was I happy with the result! I was very impressed. Not only that, Claritysoft is very intuitive and easy to use. It's easy to navigate and even a first time CRM user such as myself has no problem using 100% of its functionality. We're still in the customization phase of adopting Claritysoft so there's lots of logging out and logging back in but that will taper off in the coming weeks as we get it just the way we want it for our business. However, I don't see that as a serious drawback and everything else about the product makes this a non issue. Go for it!! No product is absolutely perfect but Claritsoft brings a broad bandwidth of capabilities all in one package rather than having to pay for expensive add ons or using other software outside of CRM. They're open to suggestions and customer support is fantastic. We've been using ClaritySoft for several years now, and it's great. It's very easy to use, and you can customize everything, so it's set up exactly the way we need it. I also like the automated reports that are sent to my email, so I can see how my sales team is doing. The downside of the ability to fully customize is that you have to fully customize it! Meaning it took awhile to get everything set up in the beginning. But now that set-up is done, it takes virtually no time/effort to maintain and manage it. Claritysoft enables our sales team to easily keep track of their leads/opportunities, follow up with them regularly, and report on progress/success. It also allows our marketing team to communicate/engage with cold leads. "A pleasure to work with ClaritySoft!" It's hard to pinpoint one thing I like the best about ClaritySoft. Their staff is very knowledgeable and always quick to respond. The email tracking and marketing functions within the CRM are fantastic. The automation for emails has increased efficiency. There really isn't anything that I dislike about the CRM. The implementation process was fairly simple and straightforward and it only took a few hour-long sessions to get the majority of the CRM set up to uniquely fit my company. ClaritySoft helps my company track leads in an easy, convenient manner which has increased productivity within the office. My company has used ClaritySoft to help get the right opportunities in front of the right people which has increased lead activity over the past few months. "Good choice for a CRM"
ClaritySoft has the capacity to integrate with a lot of apps and offers a variety of ways to build out marketing campaigns. I love how customizable the CRM is and how each users interface can be customized to what they specifically need to see. I do not directly dislike anything with ClaritySoft, except there are a few issuesin the Marketing module. I believe the marketing module is new, so I understand there are some issues they are working through with that. Marketing, lead gen, account management, bulk emailing to prospects, managing accounts and contacts, activity management, support requests, creating dashboard, and customizable reports. Import and exporting information, outlook and gmail integrations, etc. "CRM and Project Management tool"
I like the customized fields and the ability to edit, add, change and remove fields as our work changes. I like the newly integrated projects module the best. Sometimes it takes a while to load. Also, we have not been kept informed about changes in claritysoft so we had been using an old project for a few months when there was a better version out there. Account managers keep an eye on updates that may benefit customers and reach out to let them know of those developments. We now keep all of our project information in one system rather than multiple excel spreadsheets. It's easier to navigate, track and record projects this way. "I'm a sales guy. Claritysoft is BY FAR the easiest and best CRM I have ever used. Try the mobile! " Super easy, no screen clutter, almost no learning curve. Claritysoft allows you to enter critical data as quickly and painlessly as possible and then make that data actionable by, say, sending an email blast to set your calendar for the week. Don't believe the hype: this is the best CRM on the market! It would be great if they had a social media function, but I hear this is coming. It would also be really cool if they had integrations with more applications like Quickbooks, but they do have an API and will work with you to do things like capture leads through your website and import them into the CRM. Customer Support is second to none. A human being answers the phone and they almost always know you by name. If what you need is a CRM that will actually do what you want and need it to do, quickly and easily, without all the unnecessary (expensive!) bells and whistles, Claritysoft is for you. Plus the price is super reasonable. Claritysoft is helping me to stay much more organized and it is really helping me to follow up more consistently. The reminders are super easy to set and now I can't live without them. I can deliver a price quote with ease, I can send out email blasts with like three clicks, and I can track my pipeline with a touch of a button. Most CRM's are super clunky. This one isn't and that helps me solve problems MUCH faster. What I like best is how I can search for completed activities by a subject keyword search. I am quickly able to pull up those activities to see what I accomplished previously for a contact. I also like the Outlook add on where I can quickly upload important emails I send or receive and link them to a contact in Claritysoft right from my email. One thing I dislike is how there is not an option to complete an activity while I am in the activity for the first time. You have to save the activity first and then go back and complete it. Easiest way to stay organized. Claritysoft is much better then trying to keep up with countless spreadsheets and the like. There is no question about the work I did for a contact. Clarity soft helps me stay organized and I like being able look up the work I have completed for all of my contacts. "Custom Platform for Medical Facility"
I performed research on the top 40 platforms of 2017. Claritysoft was the only platform that allowed for customization in function, display, and reporting. On top of this, it was also the most affordable. Our medical facility is very unique in the fact that we do not accept new patients, but are referral only. Our clients identify the patients/members that they would like for us to obtain. Previously we were tracking these encounters manually, via xls, which presented instability in the accuracy of our reports. With Claritysoft, we are able to import data, and export accurate reports to provide to our clients. Claritysoft worked with us to create a custom platform that allows us to fulfill our contractual obligations to report these statistics to our clients in an affordable manner. "Very easy and conveinent to use. Makes keeping up with customers and patential customers super easy!" I like how you can sync your emails from Outlook into claritysoft. This is so convenient and super fast. Claritysoft will put all your emails into each individual account to which the email belongs. I do not care for the offline version of claritysoft. I understand that it is great because you do not need internet connection to use, but I am just so used to the online layout of the live version. I would say that this is a very easy and efficient software. If you have employees that are not "technology literate," this is the perfect software to use. It is super easy to figure out. Claritysoft allows you to keep all of your contacts and customers organized. So much to like with this product. The phone app. Ease of use. The help line when you get stuck. The quotes and the fact that the email is integrated with Microsoft Word. Also, the fact that you can see how much each Sales person has sold. It helps me follow up with my customers. It also helps me see the history of interactions with each of my customers and how they have reacted to things in the past. I can also do my email blasting which is really nice and find out which of my customers have new decision makers because the emails get returned if you have the wrong decision maker. It is really important to have a good CRM and this one is the best I have ever seen. My new coworker caught on to it super quickly and is already up and running with his list of customers and I did not have to help him at all because the help line provided that service. Even when I get stuck, they are there. The help line says I have to watch the videos when I have a question on how to do things and I don't have time to comb through videos. It's a great product. Leave yourself time to get used to it. OMG tons. Follow up is so much easier. Phone app helps me check customers while at trade shows. Thank you for your wonderful review of Claritysoft CRM. We are delighted to hear of your positive experience with our solution. Regarding your experience with our help line; although we do have many video tutorials to help you make the most of our CRM, they are only considered a supplemental resource. You are never required to rely on them as your primary source for resolving issues. Our support team is outstanding, and eager to provide you with live, 100% U.S. based help and support. The support line is open 8 am to 6 pm EST. We also provide 24/7 email support. "Claritysoft competes our mission with out a massive learning curve. " I like the simplicity and flow of the CRM along with the amazing customer service. My needs have focused more on the custom module sections, I would like to see more options put into place that would make the custom modules as successful as the rest of the CRM. With that said, progress is in the works and in time I believe this will be resolved. This lower cost solution is very simple to go live with and is a great option to some of the larger CRM. Collaboration with Sales and Marketing. All in one Marketing solutions for mass emailing. "I love this software, and I use it every day to manage our customers, accounts, and leads!!!" The thing that I like most about this software is that it is user-friendly and has a memory that I could never dream of! It keeps up with every call, email, fax, meeting, follow up, and everything else that I do for every person I contact! It is a beast of a software, and I would recommend it to anyone! The only thing that I do not like about it is that I wish they had an app, but they do have a mobile website which you can create an app from a website (Google it, I did it for my fiance's bank). This is a great CRM, I highly recommend it. If I had to use pen and paper to keep track of what ClaritySoft does, it would take me an eternity to do what I have done with this software. "Claritysoft is a user friendly easy to navigate CRM!" It is intuitive and easy to navigate. The customization works great and again is simple. The support and timeliness of responses has been awesome and I've only done a couple of trainings (webinars) but they are very helpful! A couple features that make it a bit clunky but as a new user I'm still figuring things out. There seems to be a lot of re-entry that needs to be done between modules and it would be really nice to be able to clone accounts. The search feature is slow if you don't hit enter. I would highly recommend based on my experience so far. Keeping track of customers, all information and tasks! It's helping us get and stay organized and follow up! "great tool for lead followup"
import tool isn't working right now. But previously I had no issues with imports. Linda, our implementation specialist, was wonderful. She is very knowledgeable and helped set up our structure so it works well for us. I have not spoken to her for a few months but she responded quickly when I had a question. "Claritysoft helps me stay on track"
Because I work on the road most of the time, it's important that all of my data is easily accessible from any location. At any moment I have access to all my information on one screen instead of searching thru several platforms . This allows me to work efficiently, offer fast and excellent support to my clients and enables me to focus my time on sales and less time on administrative tasks. I have not found anything I dislike at all. The product is user friendly the support is refreshingly based in the US and always there when I call and if it's after hours their support portal has most of what I need. sign up for the training..
We needed something very customizable due to the belief that consultative methods are key to understanding any influencer at any level, inside or outside the account opportunity, and this was key to finding the best CRM. The fact that NO crm provider, including CS understands the difference between customer relation building in consultative methods, vs traditional pipeline sales. Relating in CS isn't true 'relationship building' it is a simple technical title for tying two accounts or contacts together. BIG difference, and CS only understands 50% of this. But, of the CRM providers we interviewed, CS was the farthest along. Believe it will work for any company using traditional CRM pipeline methods, and still is very customizable. Jury is still out on the marketing module, but looks promising. Cost adds up however when adding in all the modules. For traditional sales a marketing touches, and pipeline methods, CS works good, but so do all the rest. We wanted to prove a customizable CRM could answer the 'relationship business development' could be tracked, planned and evaluated through a consultative process. CS came the closest to this, but still lacking. Claritysoft offers a live and offline experience. The live version is the push for the future, so as you would think it has more powerful options than offline. It is very easy to use and has a very robust lineup. The ability to manage your relationships is on the high end of the scale and the ability to use email campaigns with analytics is also on the high end. At this time, there are still a few quirks that they are working hard to fix with the email campaign process. It is almost impossible in today's business world to reach each other by phone or face to face. Today, more than ever before, there are so many request for our time which can interfere with our ability to focus on our core business responsibilities. The ability to reach and share important information with clients and perspective clients on their time table is invaluable and Claritysoft gives you this opportunity. "Great CRM and Great Service"
Has all the functionality we were looking for and they were great at customizing the system to meet our specific needs which were many! nothing so far. is so much better than other CRMs we have tried or evaluated. Definitely check it out. We evaluated many other CRMs before coming across Claritysoft almost by accident. So glad we did as it provided tools and implementation support the others did not. organization of data, and automating workflows and our marketing flows. "Claritysoft did what they said it would, and has CARING, REAL HUMAN BEINGS who actually help!" My rep assured me that the Claritysoft team would actually offer real-live, human support. H was right, and I know that I made the right choice. Learning any new app can be a challenge; especially one as powerful as Claritysoft CRM. Sign up for the tutorials, and feel free to call or email support. If they're not right there, they'll get right back to you, and make your concern feel like a legitimate concern, even though they've probably heard it 1000 times. Improved and easier, account tracking, staying on top of sales activities, and reporting. Documentation is weak. It would be great if CS ran a user bulletin board where users can share ideas for improvements. Highly recommended if your company is a SME. Definitely purchase the Quick Start service. SF did not fit a small business model. CS understands how businesses work and provides a tool which improves customer interaction and corporate visibility into all customer interactions. The ease of use...it is so easy to use. You can find your informaiton when you need it. I found the training to be hard to find...need an online training manual that has hyperlinks so you can click and go to what you want. Keep data and making it visible to all that need to see it...collaborating on accounts, etc. The ease to move around the system. Now that we are connected to the live version. I am able to pull up or put in customer information while on the road working. That is key to me. I haven't really found anything that I dislike about the system. The capability to be able to pull up customer information to keep me informed on customer interaction. With the live version I am able to to link into my customer information to help me perform my job better. 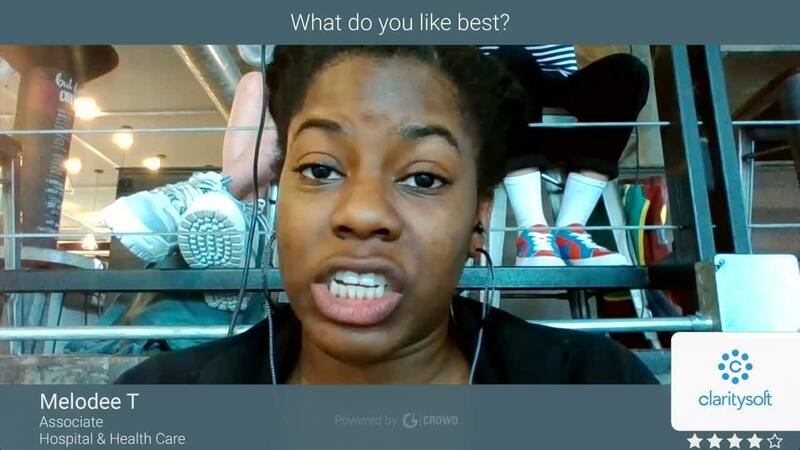 "Worst software experience I've ever had"
It's not hard to learn and use right off the bat. I figured out how to build a report on my own. I was able to use the tool immediately after training and could have probably figured it out on my own -- that's how fairly simple it is. Their customer service team is really responsive and nice. Sometimes they resolved things quickly, other times they did not. See below for additional feedback on this. While it is simple to use, it is not very intuitive in certain areas. My biggest complaint is having the Lead activities and in a separate place than the Account activities. I think that's horrible. How am I supposed to access the historical conversation and activity if I can't see it all in once place? That is not efficient nor intuitive. That's probably the most important section of the software. That's where I spend most of my time when I'm using CRM systems. Additionally, the global search function is super clunky and not intuitive and too many steps. Design and interaction-wise it's not an ideal functional experience. It requires an extra click on a checkbox even after you click on the Globe -- doesn't a globe already imply global search? Why should I need to click on "include Accounts (which in Leads) if wanted to global search? I would much rather uncheck it than have to check it every time. Additionally, half the time stuff didn't show up when I searched for it even though it was really there. Either it required clicking on a "List All" button to make all the records reappear first before searching, or it would simply not show up. It was INSANELY slow! And oftentimes Claritysoft would point the finger and pointed the finger at my employer (internet connection or even the city's internet signal), who then would point the finger back at Claritysoft. And then there would be no resolution. This happened a few times. It frustrated me immensely that the tool I was relying on every minute of every work day was not working well often and affected my productivity. I wouldn't recommend it. There are much better CRM solutions out there. Designing an intuitive and robust CRM solution was our top priority when creating Claritysoft CRM, and maintaining that ease of use and power remains our primary focus today. We pride ourselves in anticipating and meeting the workflow needs of the thousands of loyal and satisfied Claritysoft users with unparalleled flexibility and customization. It is frustrating and disheartening on the rare occasion that we hear of users who have experienced such difficulty with our solution. Please contact our support and services team and allow us to explore your problem further, and work with you to help you resolve the issue. Reviews are an important source of valuable information and can be an immense help to buyers during the decision making process. If you are reading this while conducting research into CRM solutions, we would ask that you consider the overwhelmingly positive Claritysoft reviews posted on this site during your decision making process, and invite you to take a closer look at Claritysoft CRM. Claritysoft is powerful and very easy to use. It is easy to pick up and go. Really I have nothing that I would note as negative right now! We send batch e-mails to 300+ people at a time. We can see when people opened our e-mail to target our sales process. Thank you for your review, Dave. At Claritysoft we want to ensure we provide our customers with the best CRM experience possible. Our development team is highly engaged in searching for ways to improve our solution. We also diligently attempt to get the word out about updates and changes in a timely fashion. 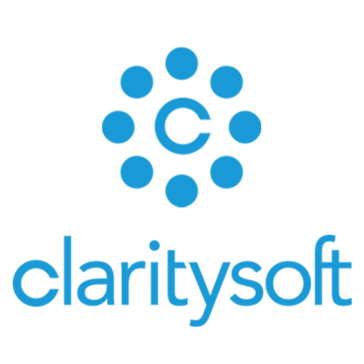 Improving this communication with you is high on our list of priorities, and as such we publish all updates and changes, as they occur, in the Release Notes section of the Claritysoft Support Portal. Also, please be on the lookout for emails from Claritysoft regarding the launch of new features and updates. The Clarity team customer service and assistance in training is second to none. If I needed any help, they were always there. The weekly webinars are also very informative and easy to follow. And you can always catch a YouTube video for help. There are a few kinks in the software that I have had to work through. But overall, the product is great! This product is an efficient, non-laborious CRM that is reasonably priced. Sales cycle process and workflow has been awesome. "A quick easy interactive and efficient CRM"
Nothing to dislike as such. Very minor bugs resolved reasonably fast. No advertisements, just try to know it. If you need the ability to fully customize your CRM, this is the product for you. ClaritySoft is so customizable that it works well for our unique industry and process. No major complaints. We need to get salespeople to be more consistent using Claritysoft, but that isn't an issue with the system. Use the Claritysoft resources available - they are extremely helpful! Claritysoft helps keep our sales process flowing and stores important customer and prospect data. They consistently update their product. The user interface for the web version is easy to use. The outlook integration is key. I have to manually push a button in outlook for an email to be recorded. It would be nice if this was automated somehow. Also, my outlook often crashes from this integration. It is very difficult to troubleshoot because it happens at random times. This provides a central database for our sales and account managers. We've received hands on help getting started. So far nothing other than I wish we had found this years ago. We haven't had a CRM before. We're excited to see how much this helps us! We are able to communicate changes and news regarding our customers across the country seamlessly. No more Excel!!! There are a few items we'd like to see added to the UI/UX based on our own daily usage of the tool - having more options for modifying the layout would be helpful, to clean it up based on our needs. Our biggest problem was centralizing our data, while maintaining up-to-date records. As the company has grown, we could no longer maintain a grasp on the edits and changes to our contacts in a central spreadsheet. "My Tech: Dave was extremely helpful!!" I called in for support and Dave stayed on the line with me and clearly explained (patiently) how to do what I needed to do. Very easy to understand and friendly. There was nothing that I disliked. Thank you. CS is where we house critical info and it is easy to access. The staff is always right there to answer any questions. The software is modern, easy to use and captures a ton of info. "Finally a sales tool I can use!" Very intuitive and the opportunity reminders are priceless. The ability to sync with Outlook is awesome. In the past I kept emails for months in separate files within Outlook. Now I sync with Clarity and it creates an activity and updates all customer opportunities. Haven't found anything I don't like about Clarity Soft. Quit wasting time and get this. Customer contact updates and business opportunity alerts. "Using Claritysoft as our CRM platform"
Claritysoft is easy to use and it's pages are easy to set-up the way a user wants to manage their leads, accounts, opportunities and activities. Claritysoft has some quirky items that you need to get used to, but once you do, you'll find it works well. Claritysoft's team is very customer oriented and very helpful. They are open to ideas that our team has and if they can incorporate new features to improve on their platform. Our team uses Claritysoft for leads, activities, opportunities, accounts, email blasts, contacts - basically we use it every day to build out pipeline of revenue to close deals with our clients and help their business grow. If individuals input relevant information, it's very useful. Tracking metrics and sharing it with individuals to create best practices.
" Keeping all my clinic rounding in one place "
I like the fact that I am able to pull up a provider and look at the previous activity at any given point in time . Doesn't matter if I am on site or out of the office I am able to see the activities that I had with my physicians . When I am out of the office providers activities can be viewed by my colleagues . "Not the best but definitely not the worst"
If you need a very basic CRM functions this will work for you. Pulling custom reports is tricky but customer service is very helpful. Hi Erin. Thank you for submitting your review of Claritysoft CRM. Please allow us to help you resolve the issue you may be having. Claritysoft is actually specifically designed to reduce or eliminate redundant data entry requirements. Information entered in one module should appear in corresponding fields in other modules as well. At Claritysoft we are focused on the user experience and committed to delivering a CRM solution that is simple to navigate and easy to use. We are eager to understand the issue you are having and assist you in resolving it. Please reach out to one of our support specialists at your convenience. Ease of use. Makes finding customer accounts a breeze. Very much like the old ACT programs. "We have been using Claritysoft for more than seven years"
The flexibility and ease to create reports. Sorting is very easy. The learning curve for new employees is very short. Easy to use and the pricing is fair. Love the ease of use and ability to customize reports. Staff is brilliant and always available. Being able to work in the Cloud simplifies & eases my day. Organizing sales goals; easy weekly & monthly reports; I use the system for EVERYTHING! I like the Last Touch feature in the Live version so you can see when you last contacted the customer. I also really like their customer service. They are great to work with and always answer the first time! The ability to modify quote templates in the Live version.It is very difficult to make them look like you want. Easy to follow up with prospects/customers. You an set follow up activities which go on your calendar to remind you of activities you need to complete.It has helped increase sales for our organization. "Claritysoft allows me to easily access vital i formation about accounts in one place." I like that I am able to navigate through the software to find contacts, paperwork, activities, etc for all relevant accounts. I dislike that this software often glitches, slowing down my productivity. I am able to easily find information about clients, making it easier to contact them. I am also able to track my activity. "I was very disappointed with Claritysoft, but now I am satisfied. Great Company!!" UPDATE: ClaritySOFT has contacted me, refunded the purchase price and apologized. I can not ask for any more than that. I would recommend this product. All settled now. Sync feature was more involved than explained in the beginning. As the CEO of Claritysoft, I was very upset when I heard about your experience. This is not how we do business. I'm sincerely very sorry that you've had to go through this frustrating process. This is the first I'm hearing about your experience, and I will rectify it immediately. Please accept my deepest apology. You will absolutely be receiving a 100 % refund and a sincere apology from, not only myself, but the entire Claritysoft team. The customer experience is more the than just customer service to us. We want to treat our customers the way we want to be treated. This is something I insist on. It's also a fundamental principal Claritysoft team members enthusiastically embrace. But, clearly, in this case that didn't happen. Rest assured I will be addressing this further with my team. Claritysoft is a premium quality CRM. I've worked hard to develop it, and I'm extremely proud of it. But we won't meet the needs of everyone. No CRM would. We work to properly qualify all potential Claritysoft customers before moving forward with them. In your case the qualification process was compromised and your needs were not met. "Very easy to use and the support team is very knowledgeable"
We really like that is very intuitive and the different screens are laid out well. The features for tracking all past communication whether it is via email, calls, etc. Helps our team stay on the same page. There's a few small things I would change but overall it is a good product. Saves a ton of time on looking back on history with clients/customers especially with employees who are no longer with us. Not much. Everything about this product is a dead issue. I believe they've given up developing it. Every feature you want 'will be in the next release'. No updates, no bug fixes. Desktop program is very clunky and old. Claritysoft outsources development to foreign countries and allows them access to your data. Be very careful! Make sure you see past the nice screens and smooth talking. Inquire about their support and development departments and procedures. We're in the process of converting from anyother CRM. The feature base and cost savings alone make it worth it to the bean counters. Myself, I love the customizable features. My name is Steve Schade and I am the Founder of Claritysoft. I am very sorry that you’ve had a negative experience with Claritysoft and I’m hoping you’ll give me the opportunity to help resolve these issues. I do recognize the date on this review and hope it’s not too late to make a difference for you and your organization. While we cannot always meet the needs of everyone, our goal is to deliver a positive experience to every single customer. We have fallen short with you and I would sincerely appreciate the opportunity to change that if at all possible. Please call 888-838-7487 and ask for me directly. I have notified the entire team that you may be calling, so you will be passed directly to my office. I like the functionality of Clarity Soft. The help staff is also responsive and nice. Preferred the Desk top vs Live version because it looks better but am slowly switching over because we have to. The Quote feature , font is way too small once it is printed out. I don't keep paper filesv at all. Love linking emails and all my activities. * We monitor all Claritysoft reviews to prevent fraudulent reviews and keep review quality high. We do not post reviews by company employees or direct competitors. Validated reviews require the user to submit a screenshot of the product containing their user ID, in order to verify a user is an actual user of the product. Hi there! Are you looking to implement a solution like Claritysoft?